Paginated archives have long been a topic of discussion in the SEO community. Over time, best practices for optimization have evolved, and we now have pretty clear definitions. This post explains what these best practices are. It’s good to know that Yoast SEO applies all these rules to every archive with pagination. Google recently announced that it isn’t using rel=next/prev anymore. We’re in the process of updating our docs and advice with this in mind. When a search engine crawls page one of an archive, it needs to know it’s a paginated archive. For the longest time, the only way for it to know that something was a paginated archive is when it found a “next” or “previous link”. This was solved by the introduction of rel="next" and rel="prev" link-elements, to be applied in the head of a page, a topic we’ve written about before. For a while, there was a discussion in the SEO community about how to combine this with rel canonical. 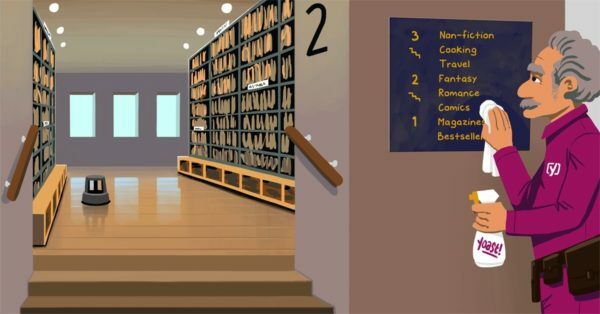 Should page 2 and further of an archive have a canonical link to page 1, or to itself? The idea was that you mostly want visitors to end up on page 1 of an archive. That page is usually the most relevant for the majority of users. Google is very clear now: each page within a paginated series should canonicalize to itself, so /page/2/ has a canonical pointing to /page/2/. Should page 2 etc. be in the search results? For a while, SEOs thought it might be a good idea to add a noindex robots meta tag to page 2 and further of a paginated archive. This would prevent people from finding page 2 and further in the search results. The idea was that the search engine would still follow all these links, so all the linked pages would still be properly indexed. The problem is that in late 2017, Google said something that caught our attention: long-term noindex on a page will lead to them not following links on that page. More recent statements imply that if a page isn’t in their index, the links on/from it can’t be evaluated at all – their indexing of pages is tied to their processing of pages. This makes adding noindex to page 2 and further of paginated archives a bad idea, as it might lead to your articles no longer getting the internal links they need. Because of what Google said about long-term noindex, in Yoast SEO 6.3 we removed the option to add noindex to subpages of archives. Yep, that's fine. It's useful to get feedback on duplicate titles & descriptions if you accidentally use them on totally separate pages, but for paginated series, it's kinda normal & expected to use the same. I guess, in time, Google will stop showing these warnings for paginated archives in Google Search Console. Google makes the rules. So I’ll follow them. …Says the guy who just noindexed yet another slew of paginated archives. At least I have the data to explain to clients why I’m undoing what I’ve done. So is it the correct method to add the canonical link to page 2 as you have suggested below? Or should I just leave the pagination page the way it is? Hi Jodi. If all is well, you won’t have to do anything. We already do this for you automatically. Hi Yoast-Team, thanks for this important notice. Since this gives our readers some sort of information, about what is coming up in total for the given category. That’s a nice idea, Carsten. I have two websites. One with Yoast plugin free and I noticed that the noindex option on subpages disappeared. Thank you so much for sharing. You’re right, pagination is very important because it contains links to the other posts, so if Google crawls the blog page 1 with a pagination, they will also crawl the page 2, 3, etc. and so on other posts through the pagination. I see these warnings in Google Search Console as well. Glad to hear that I don’t need to worry about it. In the paid version is still there. Should I just update the plugin and carefree about any bugs? Hi Carol. Yeah, you can safely update now or wait until 7.1 is released, which is just around the corner. Thank you so much for sharing, it was an excellent information. So users no longer have a choice, even on the premium version? If we split up a long post into 3 or 4 pages does the Yoast SEO plugin automatically add the canonical links to each page? Hi Rick. Yes, if you break up your posts using the nextpage quicktag Yoast SEO automatically adds a canonical to each page, plus the rel=next/prev links, just like on a regular archive page. We’re not big fans of breaking up longer posts, though. This is interesting to learn. You have to listen to what Google says on such topics very closely. The duplicated warning is something that tends to happen when indexing. It’s good to know how you can deal with this in the best way possible. Hi Freddy. Yep, you are right. You have to know how pagination works and how Search Console sees this. We hope this post has shed some light on that. Yes, You’re right, pagination is very crucial also, because it contains links to the other posts, so if Google crawl the blog page with a pagination, they will also crawl the other posts through the pagination. Wow!! It’s a great news who face the pagination issues and always be worry about duplicate meta title and description. SEO guys feel relax now!! Ah!! I doubt last week when Yoast Pro plugin updated to 7.0 version, I thought It was an error but now It’s clear. Thanks the support team too! Hi Javi! Glad we could clear it up for you. I’ll thank our support team for you. Wow, thank you for the information. The article is really informative, I think I will have to work on my site pagination. OK then. What is the “best” way to paginate in WPress? Finally a great answer for this issue! Yeah!!!!! Thank you Joost de Valk. It’s safe with Yoast plugin. Now, I don’t worry about the Duplicated content error in Google Search Console. I believe that you guy will do the best SEO for our blogs. Thank you so much Joost de Valk! I have been struggling over the noindex implementation on the patination since weeks. John’s answer and this post has really addressed my confusion. Finally removing the noindex, follow attributes. Awesome, Dhananjay. Glad to have cleared this up. pagination of archives is one Thing. But how did you handle pagination inside an article by ? Hi! We’re not big fans of breaking up long articles, but Yoast SEO supports it. If you use the nextpage quicktag in WordPress Yoast SEO automatically adds the correct canonicals and rel=next/prev links to the article. but there is no funcitonality to make all parts unique in Terms of title and description??? Hi Yoast, could you please confirm whether we still need to add the rel=next and rel=prev elements? So the page needs a self referential canonical and a rel=prev/next? Thank you. good idea. 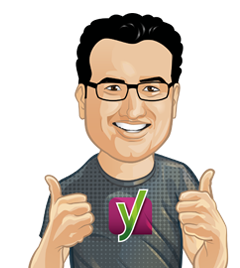 thanks for your helps yoast! Hi Emer. Do you have Yoast SEO installed? If so, it gets added automatically. Check the source of the first page of your category page, for instance, and you will see in the head that it gets a canonical link and a rel=next link. Go over to page 2 of this archive and you’ll see a canonical pointing to page 2 and both a rel=prev and a rel=next. Thanks for the free plugin but I do feel that you should give the user a choice of whether (s)he wants to noindex paginated pages or not. To force the “doindex” on people on a throwaway remark from John Mu, whom I don’t trust anyway, is too much in my honest. Hope you can give us back the choice in the next update or come up with a “hack” so people can decide for themselves. Maybe I can ignore the warnings in the Google Search Console, but I can’t ignore duplicated search results from my site on a SERP – Google shows 2 pages from the same category, and it’s actually decrease usability and harm the User Behavior factors for my project. Looks like my archive pages start competing to each other. I can’t get, why Yoast do not want to give users enough flexibility to finely tune their projects, even if it’s a “bad idea” to attribute nofollow for archive pages? Agreed – this change is a massive step backwards….seems almost like developer busywork. There are a huge number of edge cases where this is problematic – eg woocommerce product category pages.